About 1,400 participants took part in the conference, which was held from 28 April to 10 May 2013, back to back with the ordinary meetings of the conferences of the parties to the Rotterdam and Stockholm conventions, and the extraordinary meetings of the three conventions. The 11th meeting of the Conference of the Parties to the Basel Convention adopted 26 decisions. Some of the main outcomes include the adoption of the framework for the environmentally sound management of hazardous wastes and other wastes as part of a decision on the follow-up to the country-led initiative to improve the effectiveness of the Basel Convention, and the adoption of sections 1, 2, 4 and 5 of the guidance document on environmentally sound management of used and end of life computing equipment prepared by the Partnership for Action on Computing Equipment (PACE). Other key decisions concern the adoption of an interim evaluation process for regional centres, the adoption of the terms of References for the Environmental Network for Optimizing Regulatory Compliance on Illegal Traffic (ENFORCE) as part of a decision on the Implementation and Compliance Committee (ICC), and the adoption of the work programme of Open-ended Working Group for 2014 – 2015. Many of the decisions taken included invitations to Parties and others to provide information. 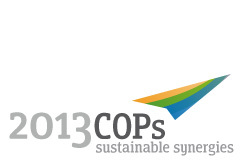 To consult those requests, please visit the "Call for information and follow-up to COP-11" page. At its eleventh meeting, the Conference of the Parties to the Basel Convention elected a new Bureau and members of subsidiary bodies under the Convention.